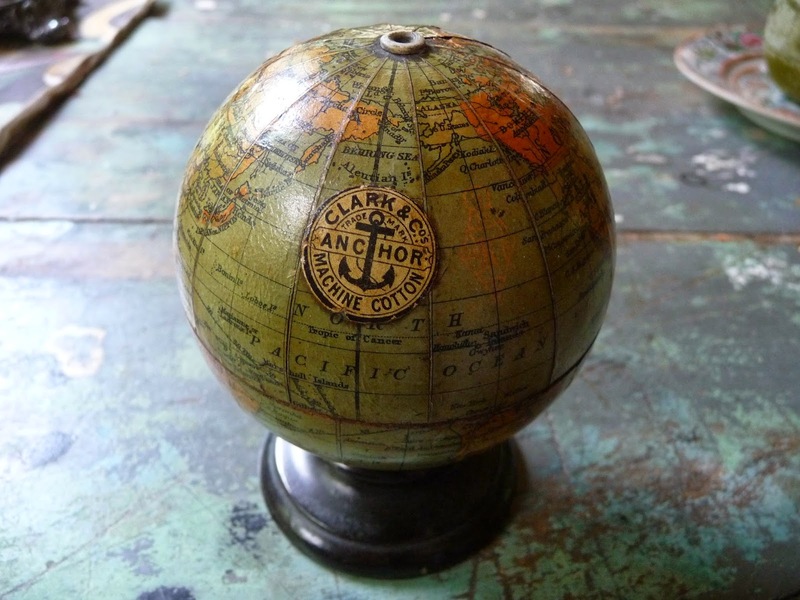 Antique world globes are a favorite of ours and we buy them when we see them to upgrade our collection or to sell onward. 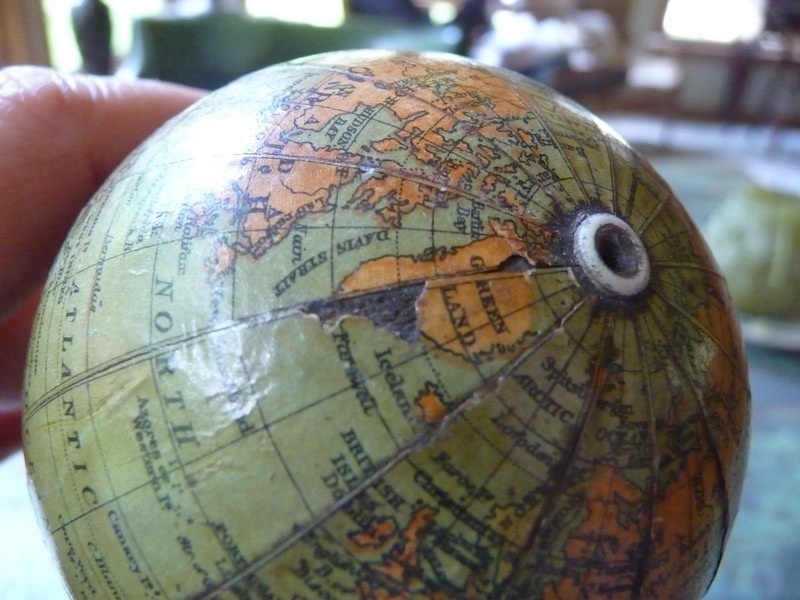 I thought you would enjoy seeing photos of a tiny wood and paper globe that is also a string holder. 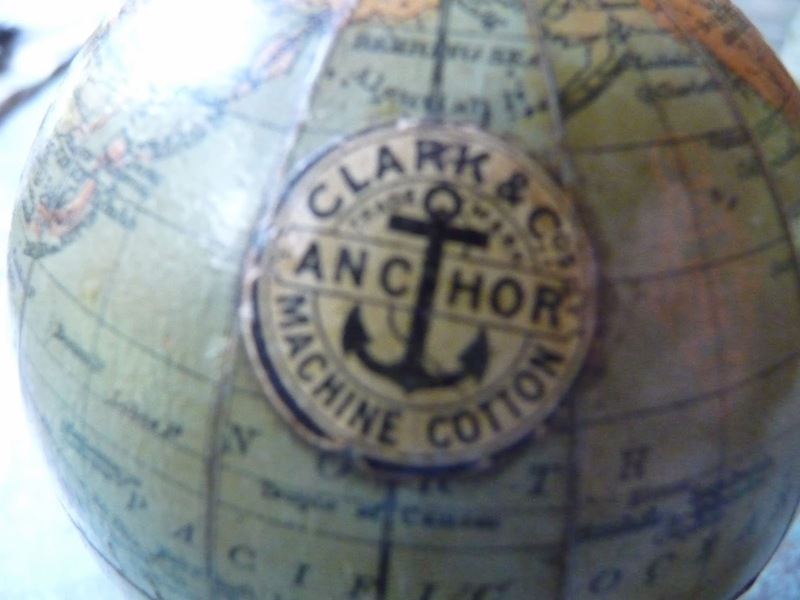 This makes it a collectible that spans two groups--sewing collectors and globe collectors. Clarke's thread would have given this little four inch beauty away as a premium. 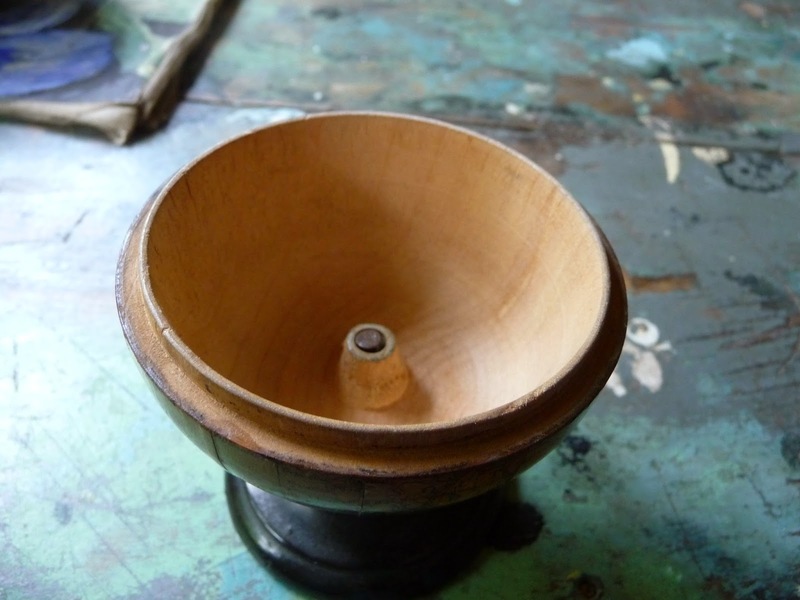 You would put a spool inside and then pull the thread out of the top and have it on your sewing table. 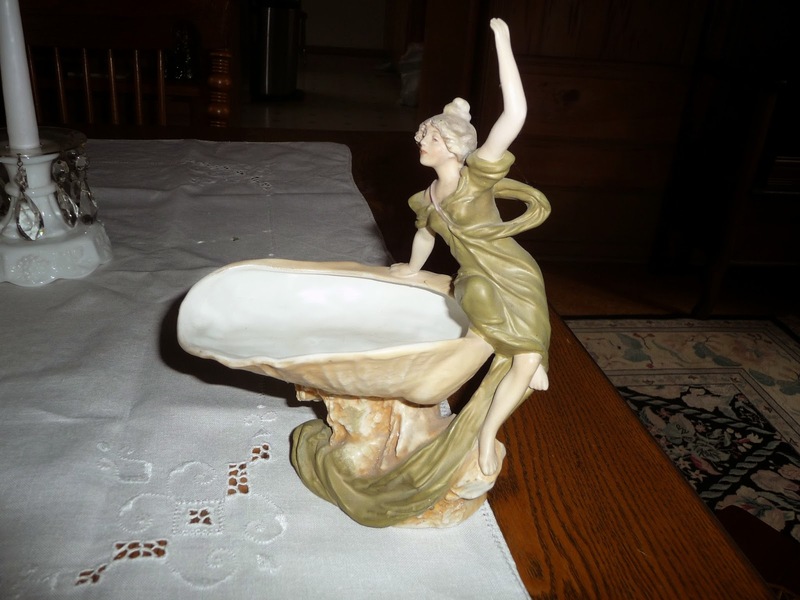 Probably dates from very early 1900s. Running through my head as I write this is that catchy Harold Arlen 1930s song, "I've Got The World on a String" that was made so popular by Frank Sinatra. This is a keeper for now. Dear Husbola and I saw the opera of a lifetime on Sunday. The Lyric Opera of Chicago performed its premier of the Antonin Dvorak opera Rusalka--an opera written in 1901 and rarely performed until very recently outside of the the Czech lands. It is performed in Czech and I have no clue how this has escaped western audiences for so long. We had seen it years ago in the National Theatre in Prague, but never in the USA. The Lyric's production starred Ana Marie Martinez and Brandon Jovanovich with sets by John Macfarlane. It is the dark Czech fairy tale of a water nymph who longs to be a human and feel the love of a Prince and break away from her watery bonds. No spoilers here--trust me to say--this does not end well. No fooling--this production left us both breathless. It is about six minutes long and worth every second. What has this to do with antiques?? I searched around our antique stash, and found a few Czech nymphs of our own. 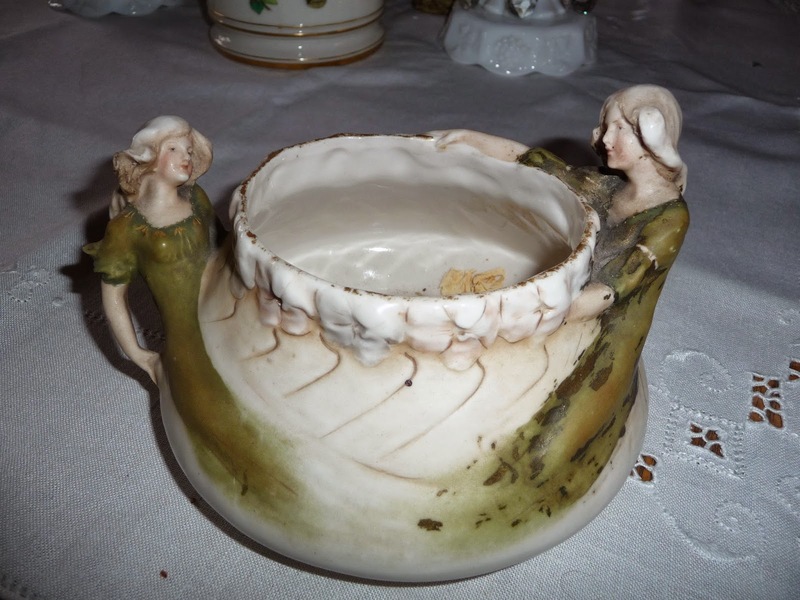 This is a 1900 Czech Royal Dux bowl, complete with nymphs. This is another Dux beauty emerging from a watery shell. 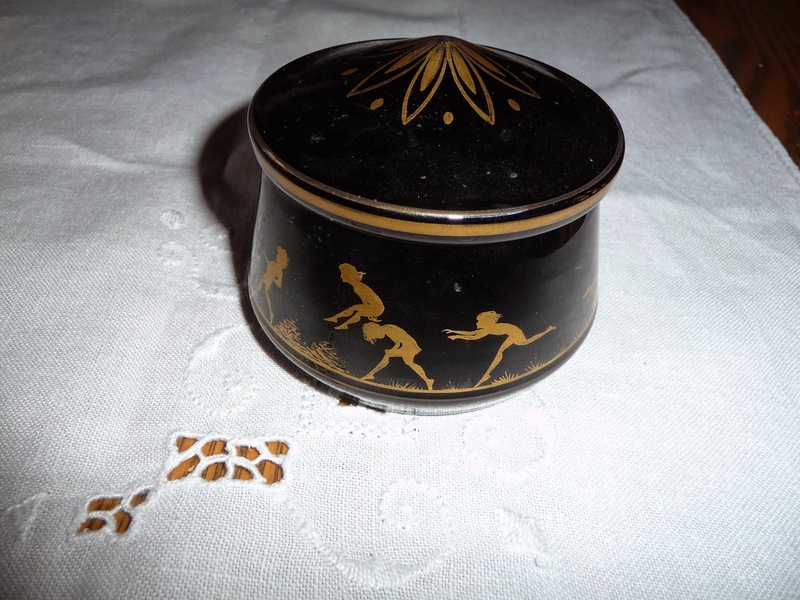 And this is a powder box or doza in Czech, complete with little nymphs frolicking and playing. As the Brits say, the opera left us gobsmacked. Not to be confused with Rusalka's water goblin pals. Dear Husbola and I are just back from an antiques overload extravaganza in central Illinois--we fondly call it our "Twilight Zone" weekend. I have written before about the non stop shows in Arcola, Tuscola and Arthur that happen twice a year. 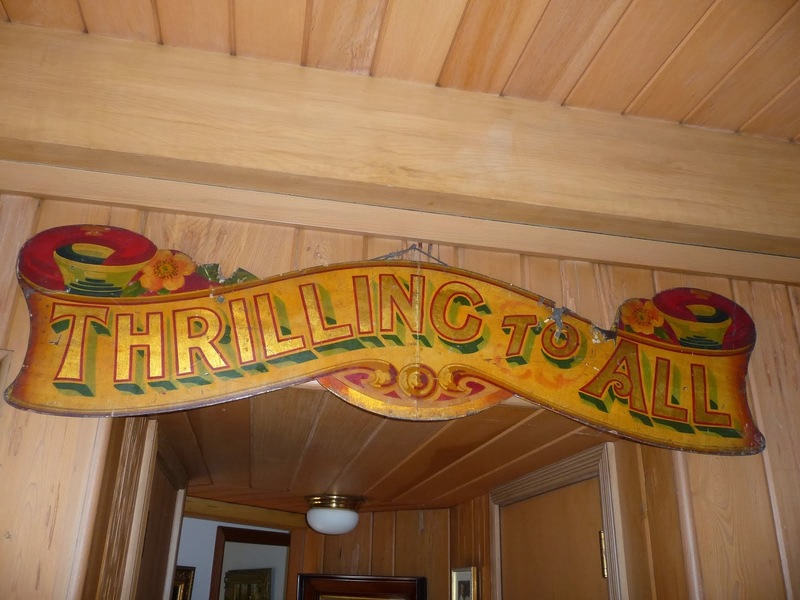 They are billed as country and americana antiques--which is not our particular interest or specialty--but we always manage to pick up some interesting things for sale--and occasionally find a treasure to add to our collection. This is a curious combinations of shows. What started as one show a dozen years ago has turned into two days and six shows within a 10 mile radius. Rumor has it that disgruntled dealers who were not "permitted" or "invited back" to Show Number One decided to start their own shows. What ensued was a several year battle on which show got what dealers and which show opened first and other sixth grade school girl sort of nonsense. Since this is a busman's holiday for us--we don't get tangled in that--and just make sure we know where to be at what venue. Jury is still out if the area can support all these shows in the same two days period twice a year. Our vaunted opinion is that the general quality has suffered--and that dealers have gotten greedy and bumped their prices because they think big money is rolling into town. That indeed may be the case--but with that money comes seasoned shoppers who know what they are looking at, know a repaint when they see it, and generally know the appropriate prices for what they are looking at. Americana is a curious decorating scheme. We like color and to our eye--you really have to work at putting color into the American look. I would love to see some country antiques mixed with some mid 20th century art--not just portrait paintings of dour men and woman.